In the Member Login area toward the bottom of the page, click on the Link: Forgot Your Password? This will direct you to a page that says Lost User Name or Lost Password? Select Lost Password. Go back to the website - Member Login and type in your Username and the Temporary Password. This will bring you to your new Member's Home secure Members only part of the website. 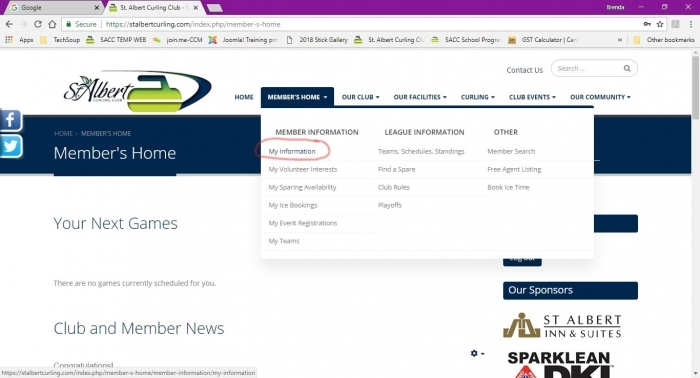 From the MEMBER'S HOME menu at the top of the page, select My Information. This will bring you to your new Member Profile screen. Click Edit and then select Update Your Profile. Once there, click the Member Info tab. Scroll down to Password and type your desired password. Repeat this password in the Verify Password box. Enter the random password you received in your email into the Current Password box. Once that is completed, click Update at the bottom of the page. Your password and information will now be saved. You may Log out and log back in again with your new password to make sure that it works correctly. 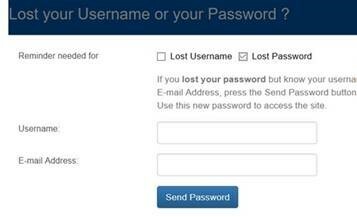 This process is also used to retrieve your username and password if you ever forget during the season. 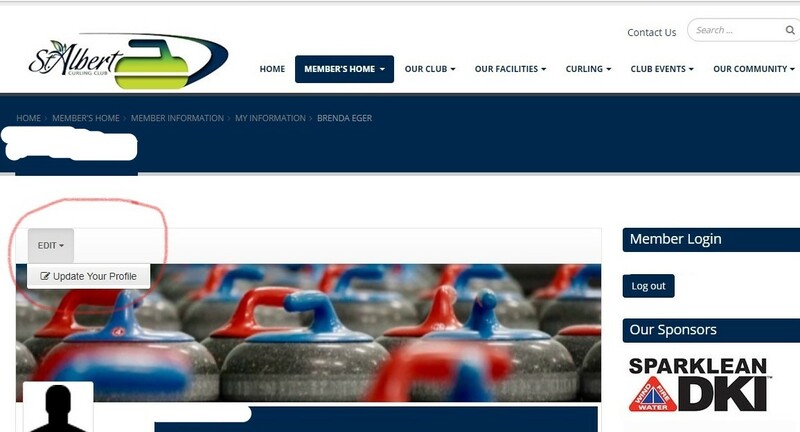 ​You may also update your Contact Info, Emergency Info and Curling Club Info while you are in My Information, or change your Username to something simpler if you like!